Woolworths plans to close approximately 30 Big W stores over the next three years as well as two distribution centres in regional Queensland and South Australia, reports ABC News. The move follows a review of its 183 Big W stores across the country amid losses at the budget department store chain due to tough competition in the retail industry. The closure of about 16 per cent of the stores will cost Woolworths approximately $370 million and will impact the supermarket giant’s 2019 profit results. Woolworths chief executive Brad Banducci said the goal of the store closures was to help boost the profitability of remaining Big W stores. He did not rule out selling the Big W brand and said in an analyst briefing on Monday that the company was “open to alternatives”. But he said that the company was currently focused on improving profitability at the struggling stores. The store closures could hurt the Australian real estate investment trust sector at a time when it is most vulnerable to pressure to lower rents to fill empty space, says The Australian. About 63 Big W stores in centres out of the chain’s 183-strong network are owned by major A-REITs. Major players including Stockland, Vicinity Centres, Scentre, SCA Property Group, GPT and Mirvac are in the firing line as Big W is often an anchor tenant, taking up about 5 per cent of large listed groups’ floor space. Brokerage firm CLSA said Stockland and Vicinity’s Big W-anchored centres were most at risk from closures due to the high proportion of space the retailer occupied and their relatively weak metrics. The growing threat of online retail is often blamed for the retail sector woes, however it actually only accounts for approximately nine per cent of all sales, according to NSW Business Chamber regional manager Joe Townsend. “The retail industry is undergoing significant structural change, which is occurring everywhere,” Mr Townsend said. “Any closures would certainly leave a negative impact on employment, however they would also open up opportunities for other businesses, and auxiliary industries like deliveries and transport to fill those gaps,” he added. 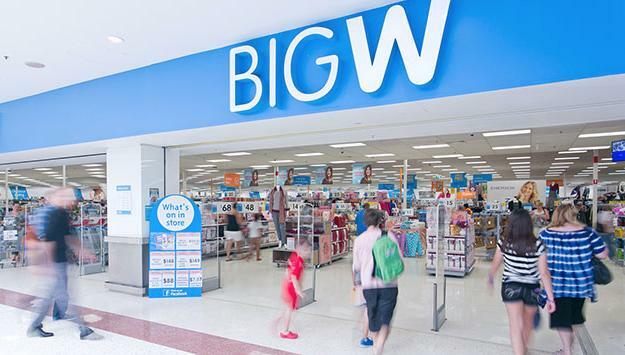 Big W’s problems stem, in large part, from its failure until now to respond to the growth of so-called “category killers”—retailers specialising in the same product categories, notes The Conversation. These stores compete on price and have superior range, and shoppers trust the expertise of staff working in a specialist shop. Examples of “category killers” include Office Works for office supplies, Rebel for sports equipment, JB Hi-Fi for audiovisual, Super Cheap Auto for car parts, and Bunnings for hardware. All of these specialised stores have bled market share from discounters like Big W.